After 30 years in the Dallas food scene, restauranteur Jesus Carmona breaks away from the typical taco fare to serve patrons ta taste of the Baja California region. 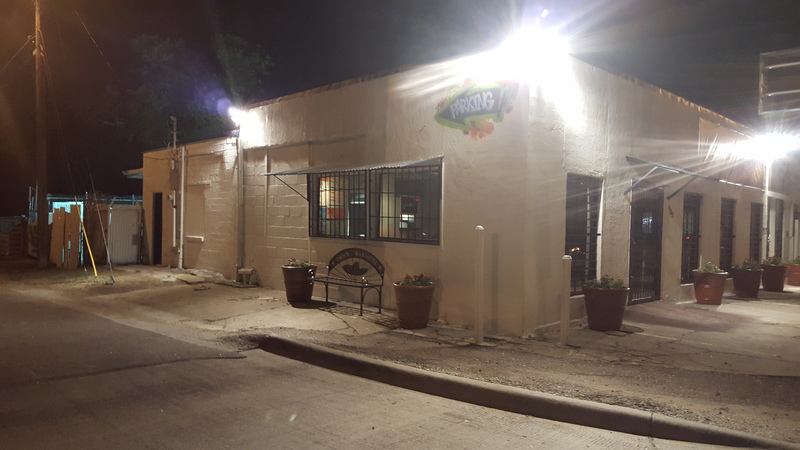 Tacos Mariachi will open in early October at 602 Singleton Blvd, just a couple blocks down from the famous Margaret Hunt-Hill Bridge and the fast-growing Trinity Groves neighborhood. Mr. Carmona and Chef Moises Rico are crafting fresh and savory flavors that are unique in Dallas. Inspired by his last trip to Tijuana, Jesus Carmona says that he was “amazed by the diversity of the food and how it was predominantly made from the fresh seafood found year-round in the Pacific Ocean.” Carmona and Chef Moises want to bring the taste, feeling and experience of such a vibrant place to Dallas, where these tacos have never been. Interesting tacos such as the pulpo (grilled octopus marinated with cilantro pesto and mixed with wild mushrooms, then served on corn tortilla with Oaxaca cheese and topped with fresh avocado), take you right to the Baja beach. Or the smoked salmon taco, is wrapped like a crepe with melted asadero cheese and served on corn tortilla with avocado and crema fresca. The food is bright, colorful, and filled with variety, just like the bustling streets of Tijuana, Mexico. Sticking strongly to its Mexican roots, Tacos Mariachi will also serve all the traditional tacos that Dallas loves; pollo, al pastor, barbacoa, and carne asada, among others. Also, all day breakfast tacos and breakfast burritos make this a daily visit. Aguas frescas will keep guests cooled down, and the beer and wine menu is sure to make this a perfect happy hour spot. The exterior is playfully decorated with artwork of Tijuana streets and mascot Cesar the zebra donkey. The inside is open and inviting with bright colors and rustic wood accents. Order tacos counter-side delivered by Mrarmona himself to talk about his food and give guests a full experience. 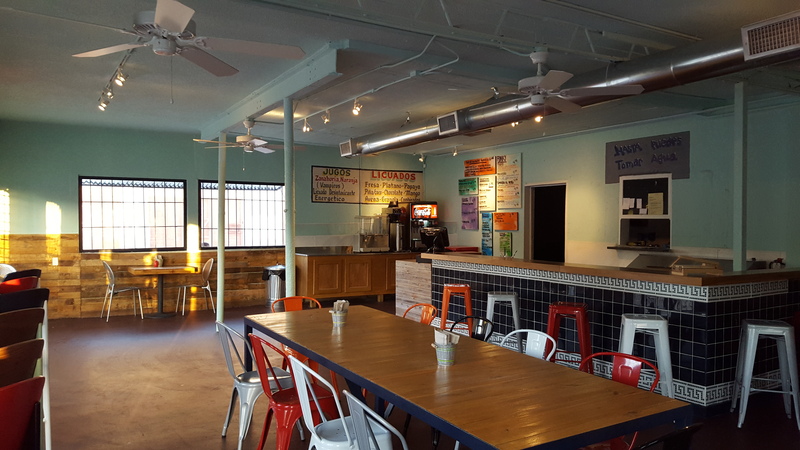 Tacos Mariachi aims to draw crowds down the street from Trinity Groves. “All of the interior decoration, the doors, the wood accents, are made from local recycled materials,” explains Carmona. “Even the front door is made from scrap metal from Davis Metals down the street.” Fresh, local ingredients, local materials, local community and fresh ideas are what make Tacos Mariachi a taste above the rest.